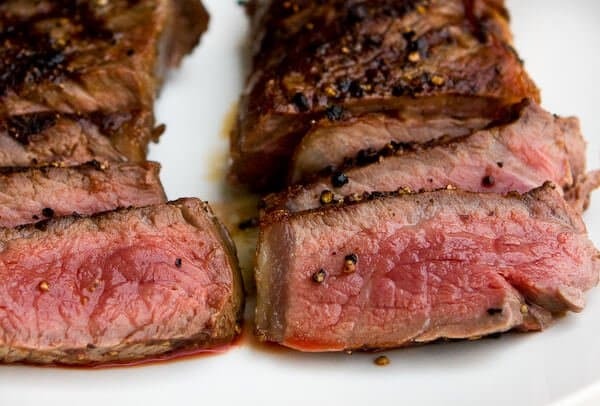 How to dry-age steaks at home – for the fraction of the price of high-end steakhouse steaks! We rarely ever go out for steaks anymore. For the past 6 years, we’ve been dry-aging our own steaks at home. In our refrigerator, with just simple tools. 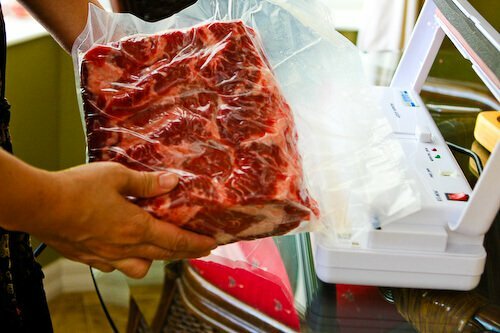 UMAI Dry just launched their Kickstarter campaign, but they’ve been in business for many, many years, producing the proprietary dry-aging bags that work with a vacuum sealer. The result? Beautifully aged steaks. 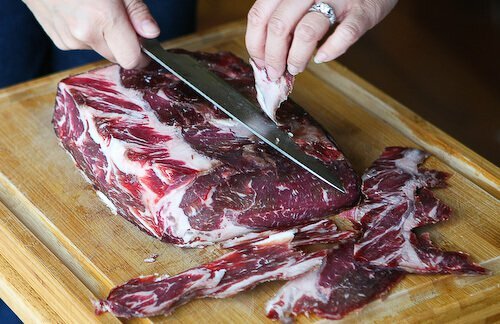 With UMAI Dry, you can also make your own charcuterie, like Pancetta, just as easily. All the photos above were taken several years ago by me, when I first started using UMAI bags. We can’t say enough great things about them! There are only a few days left to get the special deal from their Kickstarter campaign! Hurry before it closes. UMAi Dry® provided the review and giveaway unit. All opinions are my own. For millenia the taste of aged meat has been revered by man. Beef was left hanging in barns for weeks to mature and achieve the flavor that makes steak that special meal that we crave. 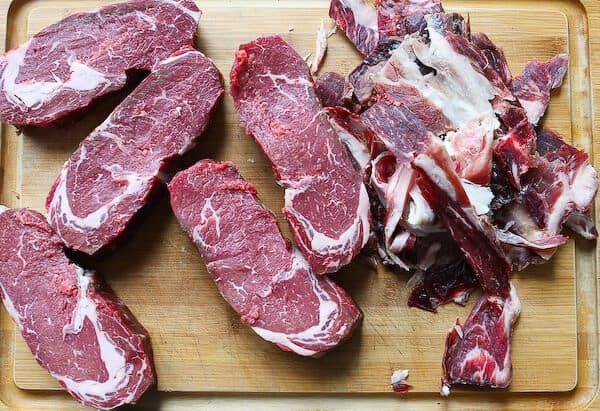 Dry aged steak is still the gold standard for beef. Because of high cost most beef today isn’t dry aged, but rather “wet aged” – left aging in ordinary air and water tight plastic bags. UMAi Dry® Artisan Meat Kits make it possible to create traditional dry cured meats in your fridge. Yes, that fridge that you open and close, day in and day out becomes your personal dry aging and dry curing “vault”. 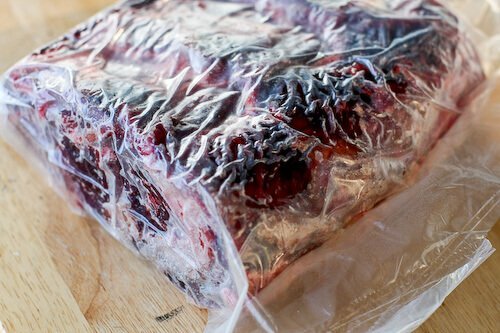 Back in 2007 UMAi Dry® – a company in Minneapolis developed technology to dry age steak and dry cure meats in regular refrigerators and restaurant walk-in coolers. 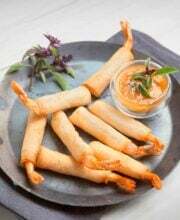 UMAi Dry® product was originally destined for meat processors and butcher shops who use the product commercially, but soon gained popularity with home users who purchased our fairly primitive kits online. 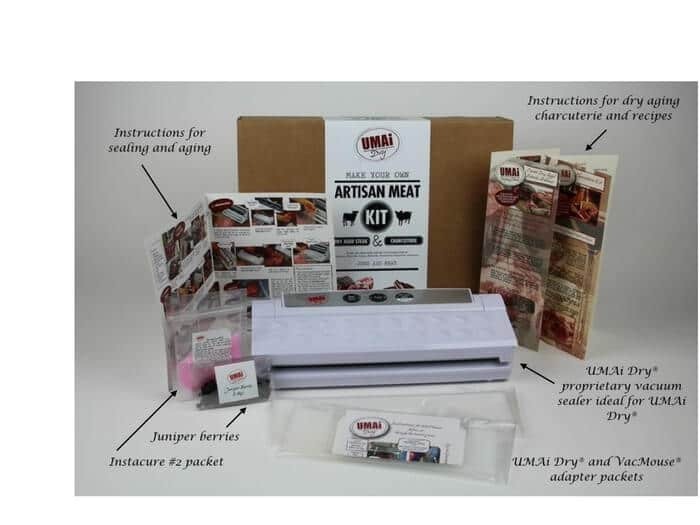 In 2011 UMAi Dry® received the Product Innovation Award from National Restaurant Association and improved the kits so that our packs can be used with ordinary household channel vacuum sealers. Until now we relied on other commercially available vacuum sealers like the Foodsaver.